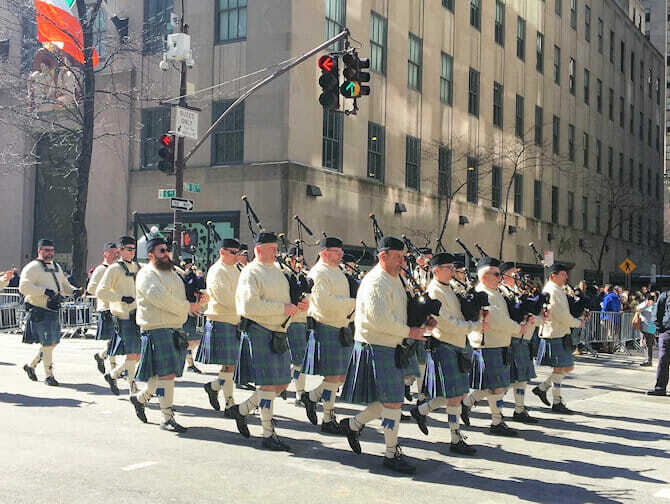 St. Patrick’s Day in New York is an especially big holiday for the Irish-American community. Celebrations always include the colour green, lots of food and drinks and a big parade. St. Patrick’s Day is the day that the Irish patron saint St. Patrick is remembered. St. Patrick’s Day is every year on March 17th, so it is on a fixed date. What can you expect during St. Patrick’s Day in New York? St. Patrick’s Day is not an official holiday, the shops will be open as usual and the trains run on their regular schedule. 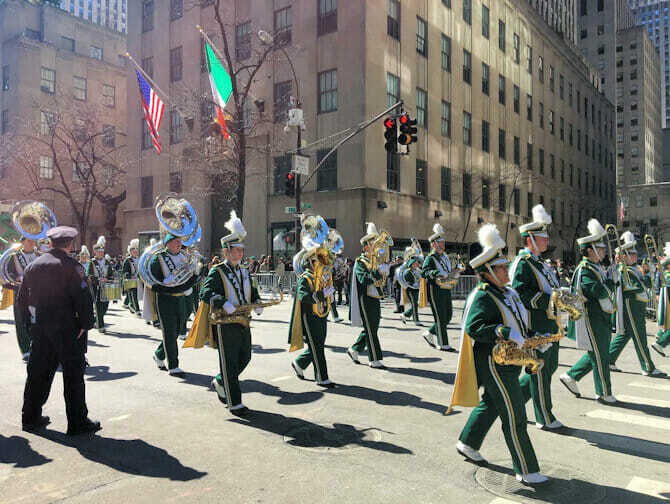 The largest and oldest St. Patrick’s Day parade in the world takes place in New York. This parade is always on March 17th itself, except when March 17th falls on a Sunday, then the parade is on the Saturday prior. It starts at 11:00 and finishes around 17:00. The city becomes one big party, including a lot of beer and food. Even Americans who do not have Irish roots, party along. Everyone dresses in green and there’s a tradition that those who are not, will get pinched, affectionally! The drinks are coloured green, sometimes even the food is coloured green. So don’t miss out on the green bagels and green beer! Also the Empire State Building is illuminated in green on the evening of St. Patrick’s Day. Even hours after the parade has ended, there are people hanging out in the streets, and there will be plenty of rubbish from the party earlier in the day. People hang out around the cafes on the Second Avenue. Expect some parade revellers to still be partying hours after it has ended. Don’t forget to visit an Irish Bar, if you go out on St. Patrick’s Day! Many of the bars on the Upper East Side will also be packed until closing time, so expect a wild and busy night! Eric’s Tip: The parade is quite long. I usually watch it around Fifth Avenue and 57th Street where it is nice and busy! If you move further uptown it gets quieter. Combine celebrating St. Patrick’s Day with sightseeing in New York! During this special Circle Line Boat Tour on St. Patrick’s Day evening, enjoy this two-hour cruise with beautiful views of Manhattan. As an Irish touch during this tour, you can sample a tipple from the Coney Island Brewery, along with a selection of Irish finger foods, concluding your day in true St. Paddy’s day style.